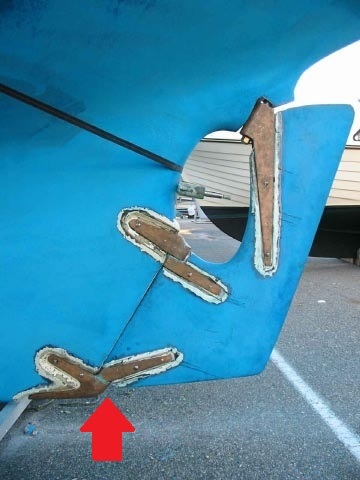 Many Monsun owners have had questions about what to do with a faulty rudder, or how they should check the state of their rudder. Of course this is one piece of very important equipment, so here is a short explanation of how it works. 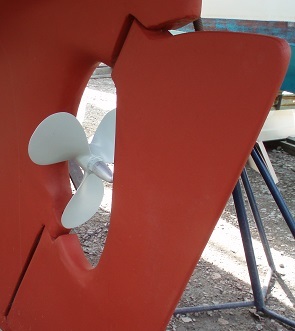 Instructions for removing the rudder from your Monsun. This was posted many years ago on the Danish Monsun website. 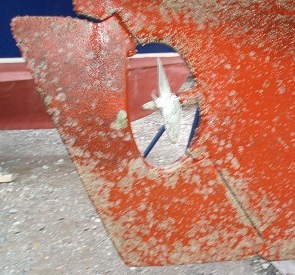 The lower rudder fitting (red arrow) is often worn down extensively on many Monsuns, and thus has to be replaced. Here are the clean bronze fittings (top, middle and bottom) shown after cleaning them off. 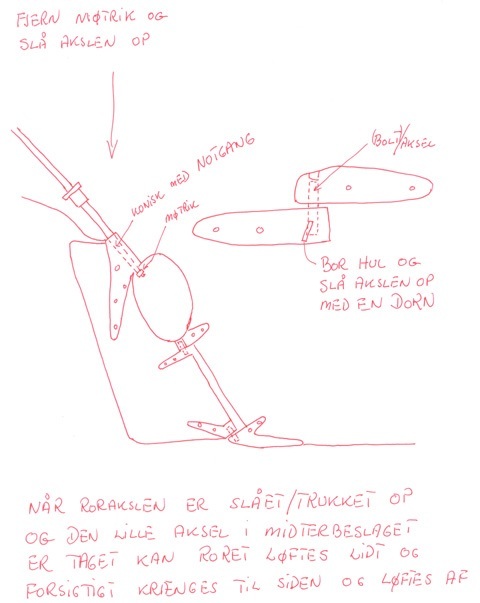 And here are the instructions in Danish (see below), saying that after removing the propeller, rudder shaft bolt, you can remove the rudder shaft/stock (by knocking it upward), the middle rudder pin (short one, see inset on the right) can be removed by drilling a hole underneath it and then knocking it uppward with a steel pin. 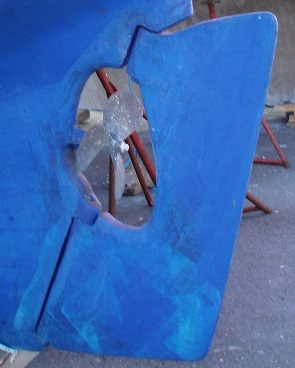 Then, the whole rudder can be twisted slightly and lifted off the bottom hinge ring. Alternatively, you can drill a hole in the top of the bolt and cut in a threading, to screw in a bolt with which you can pull the middle pin upward and out.